I am a HUGE setting junkie. Growing up in the flattest, dullest area of Michigan ever, new landscapes really excite me, and if they're depicted really well in book, whether it's an entirely new world, or just a corner of the world I haven't yet visited, then that just makes the book ten times better in my opinion. So, here is a list of some books I loved with settings that really stand out! Tricia's settings are two opposite extremes. 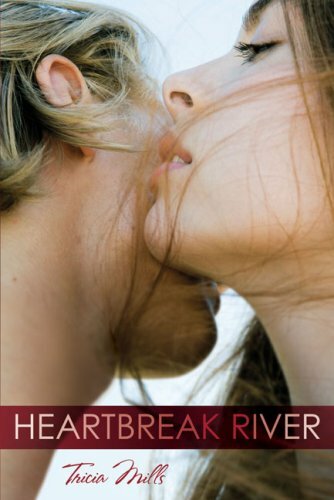 The first, Heartbreak River, takes place in Colorado in the heat of summer, with the protagonist, Alexandra, working at her family's rafting company for the summer. 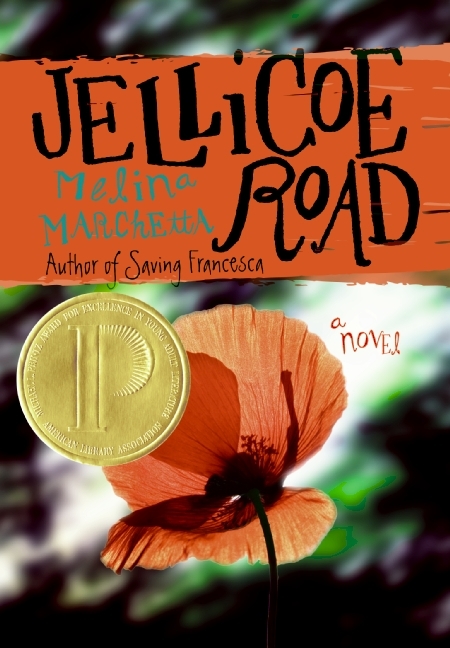 Though she is still dealing with the loss of her father and the sudden return of her ex-boyfriend, this book oozes summer and it made me want to jump in my car and go to Colorado for the summer. Click here to read my review. 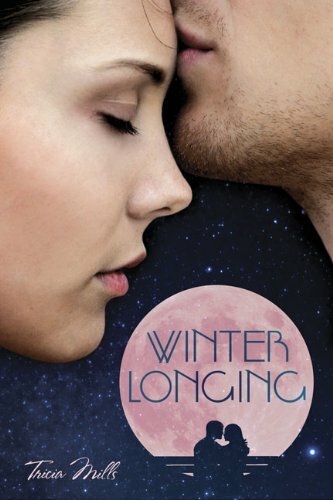 Winter Longing, as you might be able to guess, takes place in winter, in a tiny little Alaskan town. It's mainly a story of grief and healing, but the small town atmosphere and its unique location just made it all the more fascinating and even welcoming. Plus, I can't lie--I love winter, and any book that does the season justice has me in love. Click here to read my review. The Summer I Turned Pretty, It's Not Summer Without You, and We'll Always Have Summer are, in my opinion, the quintessential summer reads. Cousins Beach and the beach house are just so vivid and so welcoming. 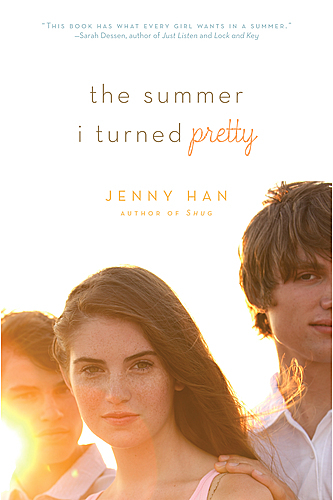 I just feel as if Jenny Han brought summer, and everything you'd imagine it to be, to life in that setting, and it's one I never want to leave. Click on the book titles to read my reviews of each book. What is it with me and beach towns? I just love them. 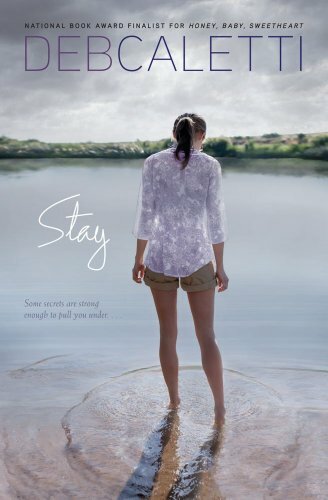 Stay takes place at another beach, this one on the west coast, at a quiet little town with an isolated house and a pretty small town with its own vibrant personality. This is just another one of those that I want to crawl right into. Click here to read my review. This is not a book that needs any praise from me--it certainly stands on its own well enough. But I just loved this slightly odd, fascinating, and heartbreaking world where past tragedies linger, but life continues to go on, sometimes in unexpected ways. It's another place I'd happily live. Click here to read my review. I just love Garcia and Stohl's depiction of a modern Gothic South. This setting is so rich and varied, and I love how it appears to be straight-forward, old, and unexciting, but it has so many creepy and fascinating layers. These authors are just incredible at building their world. 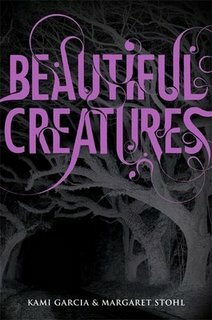 Click here to read my review of Beautiful Creatures, and here to read my review of Beautiful Darkness. Portero, TX, the peculiar town where this book takes place, is also very layered. The reader can tell that something isn't quite right with it, but it's not until you get further into the book and explore more of the town that you realize just how weird and how interesting (and dangerous) it really can be. I loved it. Click here to read my review. This sci-fi romance was SO COOL. An entire universe of setting exist between these pages. The main characters have the ability to travel from planet to planet (this Star Wars), and each one is unique. The variety and breathtaking imagery of this book made it impossible to put down. Click here to read my review of this book. This book takes place in New 2, a sort of post-apocalyptic New Orleans that has been abandoned by the government, is privately owned, and inhabited by a wide assortment of strange creatures. It's surrounded by people of myths, and the devastation and areas of restoration provide an interesting balance. This was without a doubt one of the most interesting (and unique) settings I've read in a while, and I'm excited for the sequel! Click here to read my review. 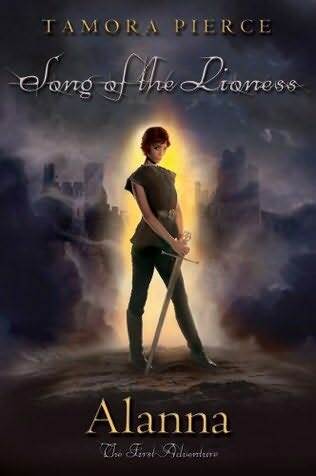 Tamora Pierce was one of the first fantasy writers I ever read years ago, and her world, with the kingdom of Tortall at the center, is very vivid in my head to this day. She's written five series set there, The Song of the Lioness Quartet, The Immortal Quartet, The Protector of the Small Quartet, The Tricksters Duet, and The Legend of Beka Cooper trilogy. Her books explore every corner of Tortall and the surrounding countries, and never cease to fascinate and amaze me. I wish I could live in Pierce's head. She sets the precedent for YA fantasy in my opinion. These are just a few that happen to stand out right now. What are some of your favorite settings? Let me know! I love rich settings, and I want your recommendations! This has to be the most positive rant I have ever seen anywhere! :) I love your topic of being a "setting junkie" and providing a wide range of settings that you have enjoyed in particular! 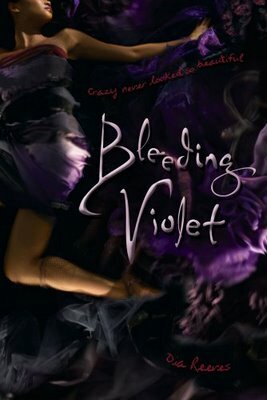 I've been meaning to read Jellicoe Road and Bleeding Violet - so I'm excited to hunt them down after this! 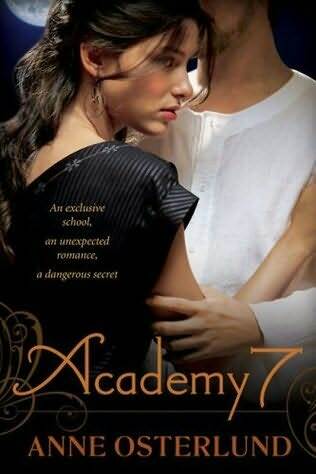 I am on the fence about reading Academy 7, but I think you might have swayed me to give it a go the next time I spot it on the shelf! 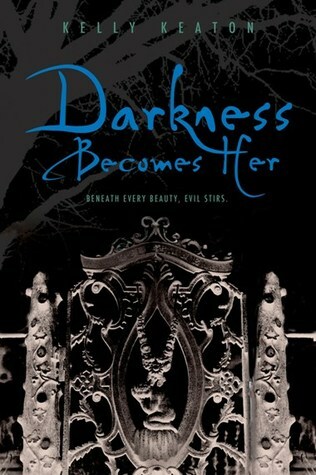 I think you already read this book before, but StarCrossed by Elizabeth C. Bunce had a fantastic setting. Toads and Diamonds by Heather Tomlinson also has gorgeous imagery. She really makes India come alive. Excellent post. I've picked up a lot of recommendations from it. I feel the same about setting, it really does make the story. Have you read Stolen by Lucy Christopher. Great descriptions of the Australian outback. I don't usually pay much attention to settings, maybe because they don't play a huge role in most of the books I read. They seem to be more important in the October Day UF series by Seanan McGuire and the Dresden novels by Jim Butcher. Tanya Huff usually mentions lots of Toronto landmarks in her books. Boy, what a collection of books you mentioned. I've only hread of one of them. I have been looking for this kind of book.really find interesting and insightful.Its been a long time to excel while reading the same calibre of books and find quite impressive. I'm completely with you about being a setting junkie - when the setting is so vivid that it's almost its own character. Great post! Alice Munroe's books have great settings in her wonderful everyday short stories. Love to be entered into the YA book Stomp from Decadent Publishing! I know what you mean about settings. I live in Michigan but I live in Northern Michigan where there are tons of hills and beautiful countryside. When I have to go on trips that pertain to driving through the freeways I get so bored so quickly. Nothing but flat land. Great post! I agree, setting makes all the difference. It's hard to enjoy a book when you can't figure out where the heck the characters are. Kinda like the groung moving out from under your feet. Hi, I really loved the covers on these books.